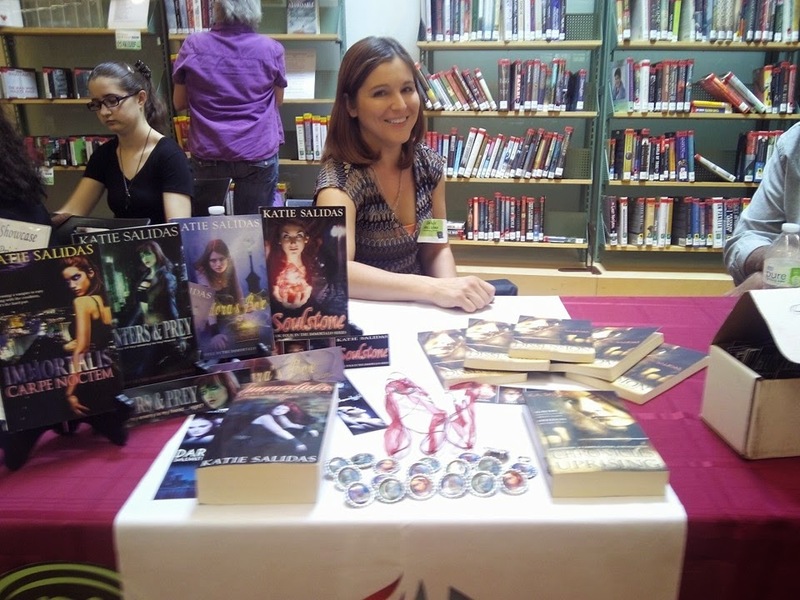 This weekend was the Local Authors Showcase at the Paseo Verde Library in Henderson Nv. First of all, I have to say a huge thank you to the library for including me in this event. I have always loved the Henderson libraries for being so welcoming and author friendly. They have taken in donated books, they have set up individual signings as well as local author events with an eye for true visibility, and they are working on getting some readings set up for the indies and locals to help spread the word further. Anyway, back to the topic on hand. Being involved in the indie community is an excellent way to grow as an author. You really need to be social and friend as many other authors as you can! Through community you can not only learn new things but impart your own knowledge as well. Everyone grows and learns together. That in turn makes the Self-published group as a whole look better, further removing that old stigma we've had in the past. Self-Publishing is not a once-and-you’re-done endeavor. It’s a living breathing thing that includes book production, marketing, and networking. You never stop learning and growing as long as you are producing more work. And the communityis there, with you, growing and evolving too. This weekend I was fortunate enough to be one of the attending authors at the Local Authors Showcase. I was there among 70 other local vegas authors. It was a madhouse of talent to say the least. And that provided hours of entertainment. I showed up early, before my “time” and was able to sit and chat with authors of Paranormal, Mystery, and even comic books. It gave me great perspective on how each of them brings their books to market. Some were 100% self-published, and that is saying something for the comic book authors. The time invested in writing and drawing… I just don’t know what to say. Simply amazing. Even the hybrid authors had great information on how “they” get their books out there. I sat with newer authors who, though they were on their first book, were able to bring me out of my shell and convince me to do something I had never thought of, book readings. It was amazing the information sharing and stories we all could tell about how we got where we did. The entire event was really just a day of networking. I made new contacts, new friends, and set up some future events that I think will be pretty cool. And of course, I’ll keep you updated. The whole experience just reaffirmed to me that authors (Indie and traditional too) are awesome people! !